The Doubles Events provided some incredible entertainment, firstly in the form of Oh Sang Eun who competed in the Open Men's Doubles with Phillip Xiao and the Open Mixed Doubles with Angel Huang. There were plenty of surprises though and the first came in the form of the overseas arrivals. Jesper Villadsen and Mirek Janča represented Otago and made a strong show of force in the doubles. The combination from Denmark and the Czech Republic started by upstaging Dean Shu and Roger Wang and quickly moved through to dispose John Cordue and Myles Collins. In the semifinal stage they met 2nd seeds Tony Liu and Kevin Wu and reversed their team result to win 3-2 and advance to the finals stage. Oh Sang Eun and Phillip Xiao never looked troubled and I know exactly why. With Phillip's tight play and swift opening attacks and Oh Sang Eun's freakish sense of misdirection and control you could never really get a grasp of where the ball might be going. They not only won the men's doubles event, they didn't drop a set, not even in the final. They eliminated myself and Yang Lun Zhao with ease (video to come), Malcolm Darroch and Lyndon White, even the experienced pair of Yi-Sien Lin and Stephen Hirst couldn't claim a set. In the final it was a display of pure dominance all over again as Oh Sang Eun and Phillip took the title. Despite some great attacking moments from the Otago pair it never looked like it was going their way and after the first 2 sets dropped 11-3 it was clear that the top seeds were going to be victorious. In the women's doubles Jung Mi Kim and Vicky Yang headed the seedings with Timea Tapai and Cath Zhou in hot pursuit. Sophie Shu and Natalie Paterson started off their campaign with a win over Mariam Seif and Mimi Walle but were stopped dead in their tracks by the Auckland based top seeds who won in straight sets in their semifinal encounter. Kadia Keller-Rice and Sara Hu took 4 sets to advance to the semifinals over the Waikato pair of Armindeep Singh and Jessica Macaskill but again were prevented from going any further by the very skillful and interesting combination of Timea and Cath. Into the finals and it was defenders combined with attackers, Cath Zhou standing out as the sole left hander and pengrip player and with pips on her forehand and it proved to be a difference which stood out. The combination worked well, Vicky Yang struggling with the heavy chop of Timi while Cath hit some stunning forehand smashes. For the second seeds it was a display of sheer force and finesse combined and the top seeds seemed to have no definitive answer. For Cath and Timi it was their first time playing together and they were awarded with a gold medal after a straight sets win. No doubt we will see these two great players combining again and not only showing off their skill but a fantastic dress sense out on the table, didn't they look presentable! In the mixed doubles event it could have been anyone's win, the defending champions Timea and Yi-Sien Lin entered the draw as second seeds behind Korean ex-pat's Jung Mi Kim and Jong Eub Han a doubles pairing not to be taken lightly. Otago Open champions Cath Zhou and Ben Duffy were the first to fall to the veteran pair in 3 sets as they took control of the top half of the draw. The true wild cards in the event were Kadia Keller-Rice and Mirek Janča who came seemingly out of nowhere to upset Vicky Yang and Aaron Gong 11-9 in the 5th set after trailing 2-1. They met the defending champions who had won in 4 sets over Sophie Shu and Matt Hetherington in the quarterfinals and the match which ensued was particularly exciting. Another 5 set thriller for Kadia and Mirek but this time not the same result. Through the immense pressure on the defending champions they managed to escape narrowly, having led 2-0 and facing the daunting situation of a 2 set catchup by their opponents. In the final moments of the 5th set they just managed to pull together in the final 2 points after a huge moment of pressure at 9-9. 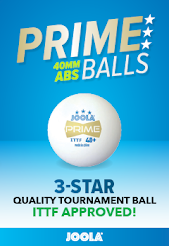 That may just have been the preparation they needed for the finals, they continue to battle hard against Jung Mi and Jong Eub Han in the final and took the match with relative comfort and by relative comfort 11-3, 11-6, 11-2. Perhaps a result that was far from expected, the Canterbury pair who won the mixed doubles in Auckland one year ago were again crowned Mixed Doubles Champions of NZ with a display of teamwork and skill which left their opponents far behind and dazzled spectators in the sheer dominance of the win, much like the women's doubles final the second seeds had risen to the occasion without hesitation. A special congratulations to Timea Tapai who achieved the hat trick in the Open Events, winning the Open Women's Singles, Open Women's Doubles and Open Mixed Doubles. Joining her with 3 gold medals was Lucy Lu who repeated the effort in the Under 21 Events and of course Oh Sang Eun took away 2 gold medals in the Men's Singles and Doubles and a Bronze in the Mixed. Well done to all competitors for great displays of teamwork! In a tightly packed and competitive draw it was Simon Fenwick who came through to the gold medal position in a semifinal draw full of young rising junior players all but a third his age and clearly no match for his experience. Armindeep Singh was the victor in the B Grade Women's singles overcoming her team mate and regular opponent Jessica Macaskill. 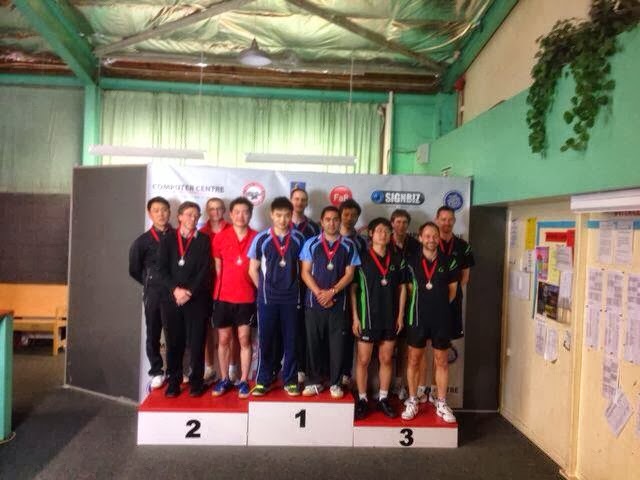 The B grade men's draw saw the absence of Jonathan Wang and Bryn Lindsay which gave an extra chance for some 3rd seeded players to come through their groups. Mike Wolloner qualified over Roger Wang in the first group, coming back from 2-1 down to win in 5 sets. Dinyar Irani rescued himself as he fought for his second place spot against Kelsey Amor. Kelsey held the advantage in the final set as frustration set in, but sheer focus brought Irani home and through the group 2nd. Manawatu's Lei Zhang was perhaps the luckiest player of the day to keep his first position through the group after he suffered a 4 set defeat at the hands of group 4th seed Matthew Solt. Victor Pollett having dropped 2 sets to Berdy Fang went through 2nd. Into the main draw and top seed Lyndon White made an early round of 16 exit to Dinyar Irani. Some great consistent and heavy chopping from Lyndon was causing big problems for Dinyar but once he found rhythm he looked unstoppable, winning the last 2 sets 11-4 and 11-9. Perhaps the closest 2 matches of the event were between Dean Shu and Victor Pollett and Jon Jon and Victor Ma. Both 5 set duels, Dean held a 2-1 lead in the round of 16 and with great effort sealed the deal 11-9 in the 5th, Jon Jon on the other hand played his match in the quarterfinals and was trailing 2-1 before he came back and won the last 2 sets. It was only fitting that after 2 such close matches that the two winners met and repeated the intense process all over again. The semifinals saw Dean win 14-12 in the 5th set over Jon Jon who had beaten him 3-0 in the under 21 draw, the perfect revenge which took Dean Shu to the finals. Kevin Lin moved into the semifinals with a tight win over Jerry Zhang from Manawatu, another 5 set duel. Simon Fenwick was rapidly moving across the bottom of the draw, reversing his open men's group result against Myles Collins. The men's match had seen Myles take off to a 2-0 lead and Simon develop some stronger tactics to bring it back to 5. Despite losing that match, the tactic building continued into the quarterfinal match and Simon won in straight sets. Moving into the semifinal he didn't seem to have too much trouble with Kevin Lin, while he dropped one set 11-9 the 3 sets he won gave a lot of space and the pressure was all on the younger player to step his game up. Moving into the final the sets were tight and plenty of chances arose for Dean Shu but Fenwick showed his experience and a combination of consistency and attacking play to win in 3 sets 11-9, 11-8, 11-8. A great show of table tennis and a lesson for the upcoming younger generation. In the women's singles it seemed fitting that Jessica Macaskill came through first in her group despite being seeded second behind Canterbury's Helen Beumelberg. 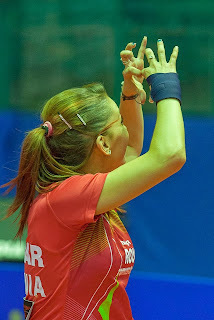 Macaskill won in 4 sets and followed up with a 3-0 win over Hyunjee Yoon. Armindeep Singh claimed two 3-0 wins while despite a great fight from Gemma Buzzard, Angel Huang claimed the win to go through 2nd. Straight semifinals and it was Waikato through to the finals after Jess Macaskill won 3-0 over Angel Huang and Armindeep won in 4 sets over Helen. The final would prove to be another interesting matchup. Armindeep was out for vengeance having lost on the last two occasions at the Waikato Open final and Waikato Closed Championships final. Now in the B Grade women's final at the NZ Open, Armindeep was out to win her first B Grade title and she did just that. It was a 4 set ordeal but Armindeep looked much more confident than in the former 2 situations. Jess and Armindeep combined to win the women's doubles while Matt Hetherington and Craig Dye successfully defended their national title also with a 3-2 win over top seeds Simon Fenwick and Lyndon White. In the Under 21 events Oliver Scarlett entered the draw as the top seed in the men's singles and didn't look back once on his way to the finals. With reasonably comfortable wins in his pool he advanced to the main draw. Zhiyang Cheng was saved by countback after losing 3-1 to Bryn Lindsay who later withdrew with a shoulder injury after going through 2nd. Kevin Wu qualified first but was the last of the top group seeds in the 5 groups to do so, Victor Ma and Victor Pollett both losing to their 2nd seeds. It was Yang Lun Zhao and Dean Shu who respectively overcame Ma and Pollett to go through their groups first and for Pollett it was nearly the end of the road, trailing 2-0 down in his match against Michael Zhang he scraped through the match to win the last 3 sets and still qualify 2nd. 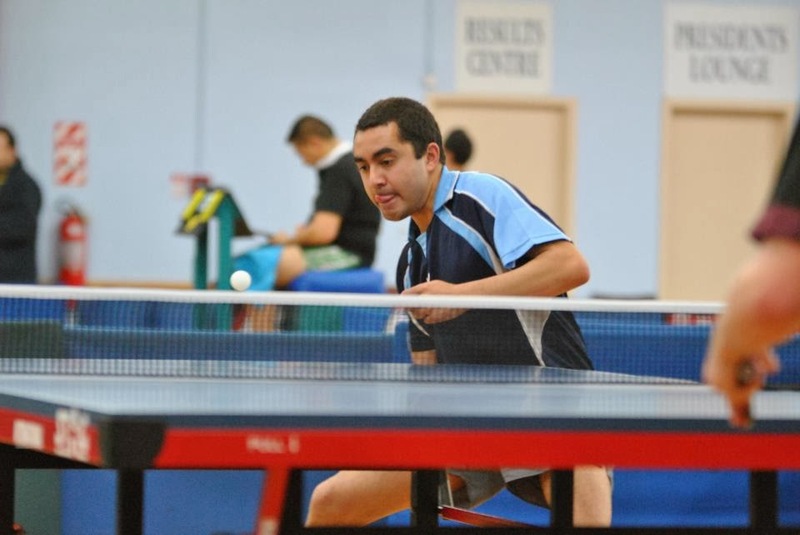 In the first round Alfred Dela-Pena got walkover against Bryn Lindsay and Victor Ma beat Kelsey Amor from Waitemata who had upset Roger Wang to go through his group. The rest of the players advanced straight into the quarterfinal stages. Ollie Scarlett comfortably overcame his younger training partner Alfred in 3 straight sets, and Jon Jon won by the same margin over Dean Shu, reversing the double result of the recent Auckland Open where Dean had won on both occasions. Kevin Wu took revenge on Victor Pollett who had beaten him in the teams contest, this time Wu was the winner in 4 sets. While Victor Ma showed signs of a chance in his match against Zhiyang Cheng, it was the latter who seemed to be in control for most of the game and while he dropped a set it was Cheng who cruised into the semifinals. Kevin Wu seemed to be hitting on a lot more forehands than we had seen thus far in the tournament against Zhiyang Cheng, it was a 5 set thriller and could have proved to be the perfect preparation for the final for Wu as he came back from 2-1 down to win the last 2 sets 11-5 with some comfort. 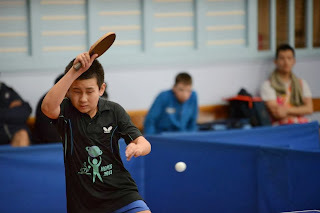 In the other semifinal Yang Lun Zhao managed to steal a set away from Ollie Scarlett but the usual result between the 2 ensued as Ollie combined tactics. Heavy backspin play and a solid and well timed counterloop over the slightly weaker forehand of Jon Jon was the winning comination for Scarlett as well as his steady and controlled close to table game. The final began with Kevin Wu looking like he was about to decimate Scarlett. The first two sets dropped 11-7 in favour of Wu and it was going to be an uphill battle for Scarlett and each set was a battle as Ollie worked his way back, winning 11-9, 11-8 and 11-9. Three sets in a row under immense pressure but he shifted momentum in his favour even by the marginal and crucial number of points that it was. Kevin combined with Zhiyang to win the doubles in straight sets over Dean Shu and Roger Wang in the final, but they had to overcome a 2-0 deficit in the semifinal against junior nationals finalists Michael Zhang and Nathan Watson who seem to be growing steadily as a doubles pairing. However it was Auckland who dominated the under 21 events and it was no different in the women's singles event where Auckland came out on top again. 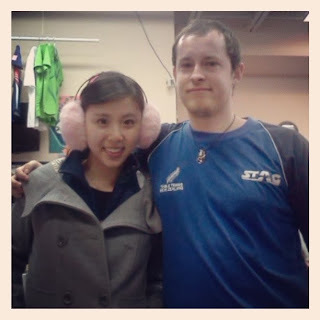 Lucy (Guiting) Lu was the newcomer to the draw in the Under 21 Women's singles, having recently moved to New Zealand from China. It was fitting that she won the under 21s considering the following day she made the Open Women's Singles Final. In the group stage no set ventured over the 11-7 margin for Lucy with 3 straight set wins. Angel Huang came through the group 2nd, as did Mariam Seif in her group with a tight 3-2 loss to Natalie Paterson who headed the group seedings anyway. So the 4 players headed straight into the semifinal stages. In similar fashion, Lucy showed no sign of struggle against Mariam's medium pimple rubber backhand and less orthodox style, she won again in straight sets to make the final where she played Natalie Paterson who had won in 4 sets over Angel Huang. The final was a big challenge for Paterson but as always with Manawatu's champion she invested her absolute best in the fight. 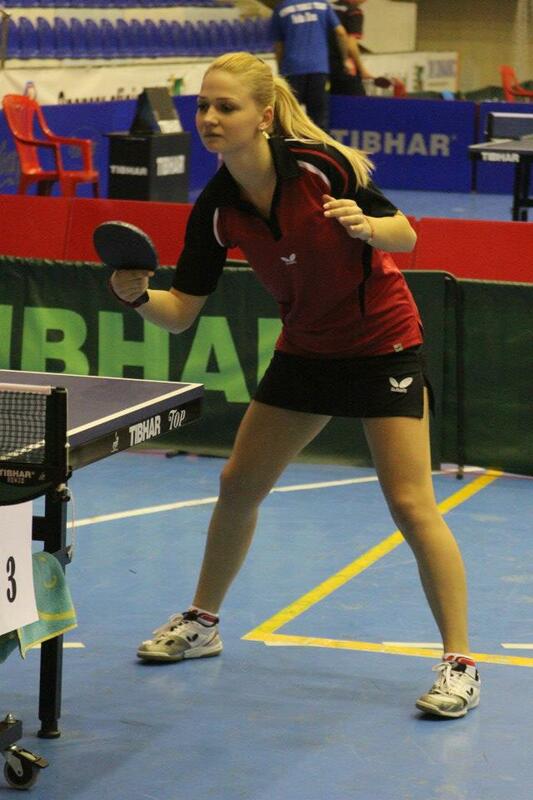 Lucy showed pure strength in the topspin rallies with smooth flowing gamestyle and a top level of consistency. While Natalie showed her skill in the rallies it was Lucy that was the dominant player and after 3 sets the gold medal was her reward. In an all local draw Kyra Portis and Mariam Seif won the Under 21 women's doubles and Roger Wang and Lucy combined to win the mixed, overcoming Ollie Scarlett and Angel Huang 3-0 in the semifinal and Zhiyang Cheng and Sara Hu in the final also 3-0. 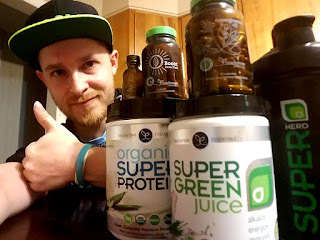 Great results from all contenders! Auckland's big title defence in the Women's Team Event at the NZ Senior Table Tennis Championships was led by the experienced defensive force of Jung Mi Kim who soared through the event undefeated. The team of Jung Mi Kim, Vicky Yang, Sara Hu and Sophie Shu contains 4 of the top 5 seeds for the women's individual events, a force to be reckoned with. With this strong combination it was two 7-0 wins over Canterbury 2 and Waikato in the group phase for Auckland and they advanced in first position from the pool. Waikato went through second with a 5-2 win over Canterbury 2 with the experience of Jessica Macaskill and Armindeep Singh proving to be the differentiating factor in their team matchup. 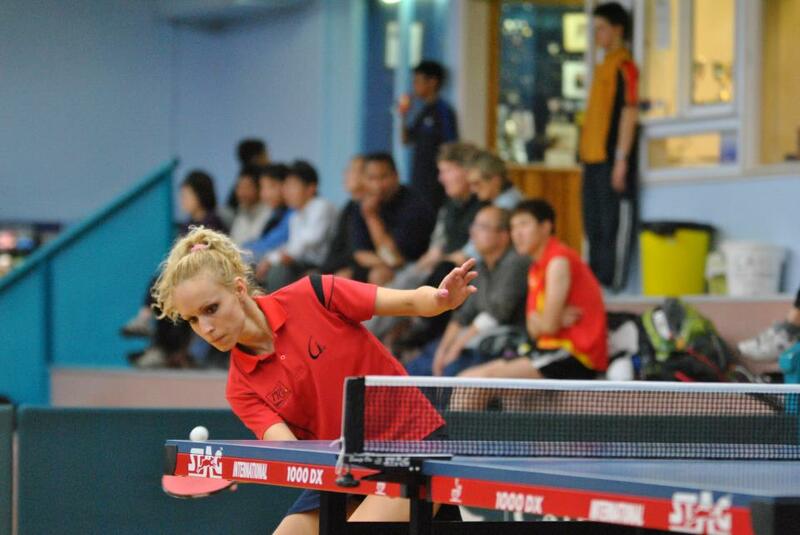 In the second pool Canterbury 1 started well with wins over Otago and Canterbury 3, 2012 NZ Champion Timea Tapai showing her international class in the matches, backed up by Mariam Seif and Angel Huang for the home side. Otago moved swiftly to dispatch Canterbury 3 with Yvonne Fogarty and Deb King showing they still have it and the young and rising Emma Paton proving her skill in the team match. Canterbury 1's trip to the final unwound when their match order gave Manawatu an advantage. 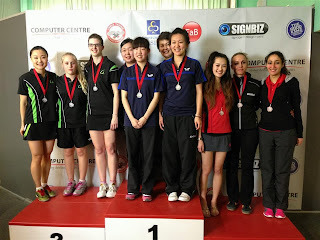 Catherine Zhou and Natalie Paterson, both strong contenders in the women's event led the team with Tayla Nesbitt from Nelson joining as a draft. While Tayla faced the tough and talented Timea and experienced some heavy backspin play, Cath and Natalie moved quickly to take advantage of their opportunity. The match extended to 7 matches but the Manawatu trio proved they had what it took to take the top spot in the pool and won the encounter 4-3. The loss meant that Canterbury would play Auckland in their crossover match, a great challenge. While Mariam got the team off to a good start with a 3-2 win against Sophie Shu, the big result was yet to come. A match which slipped under the radar as spectators had their attention turned was the 5 set battle between the defensive giants, Jung Mi Kim and Timea Tapai. While the rallies extended and patience was tested, the 5th set was one thing which failed to extend. Jung Mi took a colossal lead in the final set and showed her true ability to stay calm and pick the right balls to attack on. The win was a crucial one for Auckland, with Vicky Yang following up with a win, the doubles being fought back from 2-0 down to add another point and while Sophie Shu fell to Timea, the Auckland team still pulled through early to win in 6 matches. Manawatu meanwhile were dominant as ever against Waikato. Their 6-1 win a true display of determination as they overcame their opponents and continued their road to the finals. While Jess, Armindeep and Barbara fought hard, their finals battle came to an end. Much like the men's final there were high hopes for Manawatu as they headed into their last matchup. Cath Zhou started out against Vicky Yang and while their were flashes of brilliance and well placed attacking balls from Cath it was Vicky, the 2010 National Champion who overcame her opponent to start Auckland off. Tayla again had to face a high level defensive player, she continued to put up a great fight and hit some incredible shots during the match, but Jung Mi gracefully chopped and attacked her way to a 3-0 win. Sara Hu came in next against Natalie. While Natalie showed the fighting form she always does, Sara took the lead and was slightly more dominant in the rallies and with point structure, using her serves to her advantage. Sara's win brought the lead to 3-0 and the pressure was all on the doubles pairing of Cath and Nat to stay in contention. Again a great fight by the Manawatu pair who led the match against Jung Mi and Vicky, but the Auckland pair were eager as ever to finish their opponents and take gold and they did just that. A 4-0 win for Auckland, joining the Auckland men's in taking the top spot on the podium and successfully defending their team title! Canterbury redeemed their earlier loss by taking the bronze medal position, though it took them all 7 matches with Waikato making a strong case for podium contention! 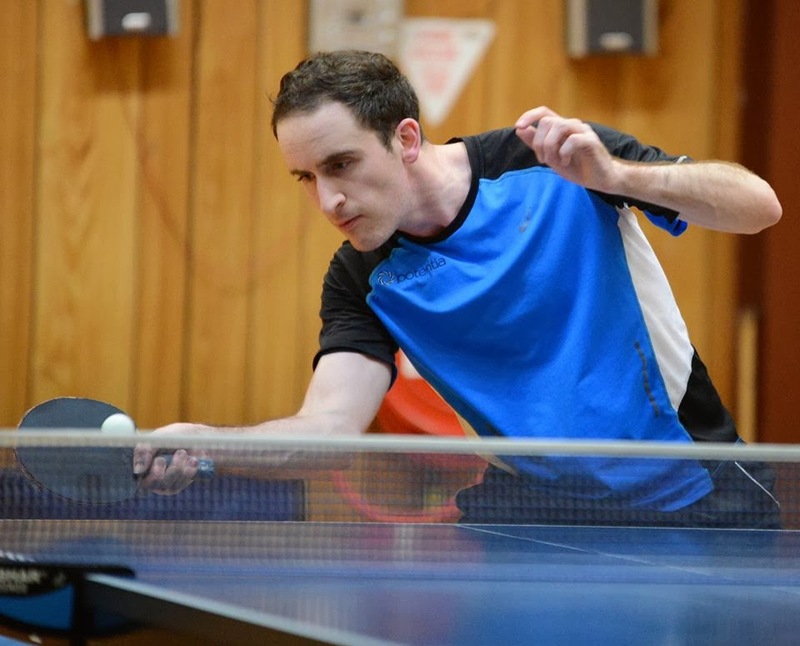 The team events concluded today at the NZ Senior Table Tennis Championships with an impressive display of dominance from the defending team champions, Auckland. Two days of hard competition and intense matches saw the emergence of the gold medallists, beginning with the grading stages. Waikato and Waitemata were both victorious in their encounters in 4 straight matches while Otago 2 took theirs 4-1. Waikato headed up into A grade, Waitemata into B and Otago 2 into C grade while their oppositions took the lower road into the respective grades below. The first day in the A grade saw upsets all round, spectacular matches and great team spirit. Auckland 1 and Canterbury 1 were the dominant forces in their round robin stages, though North Harbour pressed their position by stretching the top Auckland team to a full 7 matches with Victor Pollett stepping up to take out Kevin Wu and Brad Chen leading the team as usual. North Harbour's 4-3 win over Otago and 7-0 win over Canterbury 2 helped them steal the 2nd spot going to the crossover. 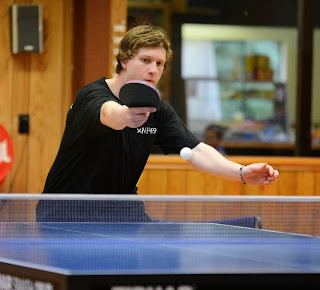 Victor Pollett picked up some top wins over Ben Duffy and Jesper Villadsen against Otago while Bryn Lindsay was successful in defeating Simon Fenwick and Pavel Daněk in the second match. In the meantime on the other side of the group draw, Manawatu were making all the noise. Narrowly scraping a 4-3 win over Waikato in the absence of Tim Seaholme, they moved swiftly to put Auckland 2 back into 3rd place with Mike Tate-Davis claiming the crucial match in the 5th against Aaron Gong. Seaholme and Ball both posted top wins against Malcolm Darroch on the first day of play and continued to play strongly throughout the draw. Otago posted two 4-3 losses with some nailbiting matches. Mirek Janča was strong in leading the team but teammates just missed out on some key wins causing some upsetting results which placed Otago 4th in their group pool. With a 4-2 loss to Auckland 2, Otago rescued themselves in their last match with a 4-2 win over Waikato to finish in 7th place of the 8 teams. Manawatu battled hard to overcome North Harbour in their last match for the bronze medal position. With Matthew Ball and Tim Seaholme both playing well to beat Victor Pollett and Jerry Zhang saving the Palmerston North crowd's day at 3-3 with a 5th set win over Bryn Lindsay. A great result for Manawatu who upset the odds to come through into the top 4 teams and then clench a podium position. Perhaps two of the most incredible matches of the competition so far had been those between Oliver Scarlett and Ivo Mikulec and also between Yi-Sien Lin and Brad Chen. Ollie and Ivo had some incredible rallies and displayed awesome table tennis for spectators. With a match point at the end of the 5th set, a short dropping netball by Ollie was not going to save him, Ivo sweeping in to pick the ball up round the net and taking the point followed by two more. An immense display of commitment and a high level of table tennis from both players. Similarly Yi-Sien Lin performed incredibly to win in straight sets against 2005 national champion Brad Chen. The match saw Lin and Chen in big counterloop rallies where Yi-Sien really raised his game. The Men's Team Final saw Canterbury and Auckland go head to head. Canterbury hosted a team which held a strong chance and a strong hope from the locals to take out the title. Lead by Jong Eub Han, the team also consisting of Yi-Sien Lin, Ivo Mikulec and Malcolm Darroch were hot contenders. Auckland, the defending champions, Teng Teng Liu, John Cordue, Josh Alexandre and Kevin Wu. 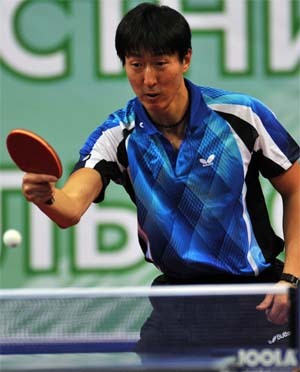 Teng Teng Liu was first out on the table for Auckland, showing strong form against Ivo. The big hitter left no ball unscathed and despite the Czech player's best efforts it was Auckland who took the first match 3-0. Whether John Cordue could make it 2 was an interesting question. Yi-Sien had played well to beat Brad Chen but John soon proved his level of consistency in both close table and distance rallies. While Yi-Sien continued to press the attack it was John who continued to return ball after ball and force error on his opponent, 3-0 and Auckland led by 2 matches. The pressure was on Han to bring his team back into the game, but there was just one problem, Josh Alexandre. Josh played possibly another of the best matches of the team event, if not THE best. With a keen eye for reading Han's serve and swift attacking on both wings, he took advantage of every loose ball played. With a few costly errors at vital moments of sets, Han fell behind by 2 sets. As hard as he fought to reclaim momentum in the match it was Josh who followed up on a fantastic start to win 3-1 and put Auckland in a very comfortable position with just one more match required to take the shield and victory. The doubles proved to be the answer that Auckland needed. Kevin Wu subbed in to play with Tony Liu and the pair gave their best to finish the team match off. While Yi-Sien and Ivo did their best to hold on, the match was lost in the final set by the slimmest of margins, 11-9. The result, disappointing for Canterbury, another strong triumph for Auckland who continue their dominance in the team events for another year. Korean International Oh Sang Eun is not the only Korean heading up the top spots in the individual group stages of the Open Men's Singles for the NZ Senior Table Tennis Championships. Jong Eub Han, sitting 3rd on the TTNZ rating lists, will be entering the draw in strong contention. The seasoned Korean ex-pat player already made his mark at this year's South Island Championships where he showed very few signs of slowing down in defeating Phillip Xiao in straight sets in the final. Mirek Janča slips in as the 5th seed for the event pushing John Cordue back to the top of the 6th group. All in all for the men's draw it's a strong mix of Auckland and Canterbury heading the tops of the groups and it will certainly be entertaining to see if upsets occur, particularly for the 2nd qualification spot in each group. In the women's draws Timea Tapai rests comfortably in the top spot, notably no Li Chunli entered in the event which clarifies that question for those asking. Jung Mi Kim sits in 3rd seed position but we will have to see if Vicky Yang is up to the defensive challenge should the seeds play out and perhaps we will have a repeat of 2002 and an expedite rule with 2 choppers in the final? Sophie Shu leads the 4th group and will face a strong challenge from Sara Hu. No doubt some very interesting groups in that event. The draws for the individuals can be found on Canterbury Table Tennis Association's website HERE and there you can also find the team draws under the tournament tab, for those who have been patiently waiting. The teams are ready to go for the NZ Senior Table Tennis Championships which are set to kick off on the 2nd October, just over a week away. The big teams will clash another year with Canterbury fielding strong teams and hoping to claim the top spot on home turf. With the experience of Jong Eub Han leading the top Christchurch team and a powerful combination of top players, Yi-Sien Lin and Malcolm Darroch, joined by Czech player Ivo Mikulec, it will likely be Canterbury presenting the biggest challenge to defending champions Auckland. With top NZ ranked Phillip Xiao absent from the Auckland 1 team it will be the task of 2 time National Champ Teng Teng Liu along with John Cordue, Josh Alexandre and Kevin Wu to put the pressure on the locals in order to retain their title. A fairly evenly balanced competition, it will be interesting to see how this competition goes down. Both regions also field strong second teams with Auckland 2 comprising of Zhiyang Cheng, Ollie Scarlett, Aaron Gong and Craig Dye while Canterbury's Stuart Armstrong, Simon Fenwick and Jonathan Wang are joined by Canterbury's second Czech player Pavel Daněk. Otago will grace the A grade for the first time in some years with the usual strong contender Ben Duffy being joined by two international companions. Miroslav (Mirek) Janča and Jesper Villadsen join the Otago team from Czech Republic and Denmark respectively and add a wealth of playing experience and ability to the team. This presents a great challenge to the top teams and Otago will look to capitalise on the opportunities presented, joining Auckland 1, Canterbury 2 and North Harbour in the group round. North Harbour fields the young combination of Victor Pollett and Bryn Lindsay, joined under the direction of 2005 NZ Champion Brad Chen. No doubt Brad will look to lead the team while Pollett and Lindsay look to capture some top level wins in a tough grade. 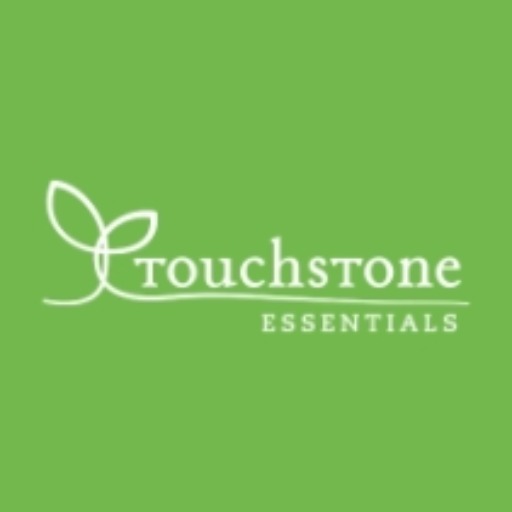 Manawatu are fielding one of their strongest teams in many years. Typically the team lead by Matthew Ball and Tim Seaholme has fielded a slightly weaker 3rd player and forced Manawatu into grading in many occasions. In 2013 the two regulars are joined by Wellington Open champion Lei (Jerry) Zhang and Mike Tate-Davis, a team with plenty of potential to cause some upsets. They join Canterbury 1 and Auckland 2 in their group along with the winner of a very tight grading match. Grading will see just 2 teams clash for the 8th spot in the draw of fairly even callibre and no real way of knowing who may advance. Mentality, determination and drive will be big factors on the day as Wellington and Waikato go head to head in a battle of nerve. Wellington led by Ben Collins with Paul Brown, Depak Patel and Paul Solt in support while Waikato's Matt Hetherington is joined by young World Hopes Team member Yanglun Zhao along with Paul Whitehead and Daniel Delbourgo. The match is sure to be entertaining as both teams put it all on the line to try and make the top grade. The Women's Team event will see the return of two former Auckland team players in Korean defensive player Jung Mi Kim and short pips attacker Sophie Shu. Joined by former NZ champ Vicky Yang and the highly rated Sara Hu, the team is surely a force to be reckoned with. Canterbury's hopes are lead by reigning national champion Timea Tapai joined by the younger Angel Huang and Mariam Seif along with Mimi Walle, the Canterbury players will surely look to press the home side advantage, with Timi driving the team it will be up to Angel, Mariam and Mimi to provide a strong support to bring home the wins for the local team. Manawatu are lead by the strong combination of Natalie Paterson and Catherine Zhou, both top ranked players and supported with draft player Taylor Nesbitt. Paterson will no doubt be looking to continue improving on a strong year after appearing in the North Island Championships final, by fighting for more top level wins against the strong opposition. Waikato's Armindeep Singh and Jessica Macaskill are accompanied by Barbara Perry and again, the pair who have consistently been ranked in the top 10 women in the country will be fighting to seal some victories for the Waikato team. Otago's team will be graced by two time NZ Open Champion and TTNZ Hall of Fame member, Yvonne Fogarty. 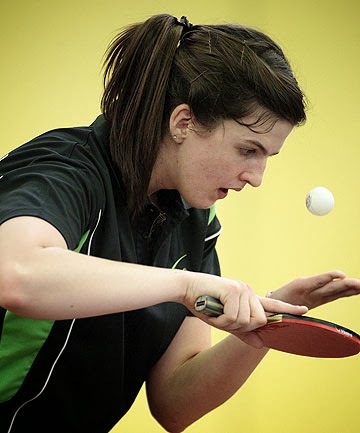 The veteran player has come back to table tennis and will no doubt be full of inspiring stories for her teammates, Emma Paton and Debra King. 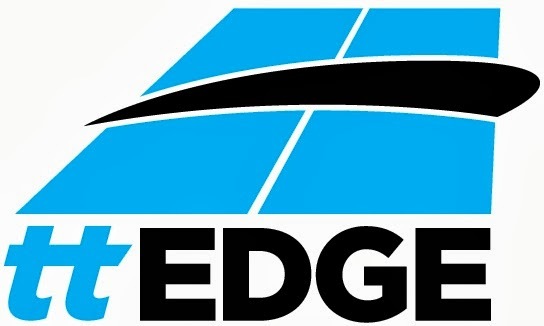 Fogarty part of a long running family line of table tennis players was a bronze medallist at the 1973 Commonwealth Championships and was a strong international representative for New Zealand during her peak. It's true, sisters have a strong image in any sport and in table tennis it's no different. The Dodean sisters, Daniela and Andreea from Romania are part of a family of table tennis, with 2 brothers in the sport also. 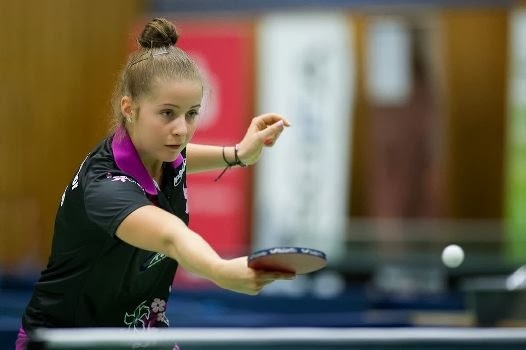 While Daniela is most notable for her international performances, having been ranked 19th in the world in 2010 and playing in the Italian and Austrian league's top divisions, sister Andreea was also a strong contender in the 2nd league in Germany. I had the unique chance to ask them both a little bit about the image of women's table tennis! Daniela left home at the age of 10 and began training at the Olympic Centre, she has come a long way since then and recently married Portugese National Team member Joao Monteiro. Daniela is based at the Schlager Academy in Schwechat, Austria where she competes for SVS Strock. Sponsored by Butterfly since just 13 years of age, the 25 year old is still one of Europe's hot contenders in any competition. So down to business. The sisters were unanimous, as with most females in the sport today that skirts are definitely the future of women's table tennis. Andreea said they were more comfortable and prettier, while Daniela said she definitely preferred to wear a skirt. Andreea said perhaps given time she could also wear a dress while playing but for now the skirt was definitely more comfortable to play in. The sisters both agree that image is important for the growth of the sport. "People are coming to watch table tennis will enjoy seeing nice looking girls also" Daniela says, while she also emphasises that it's important for the male players to look presentable too for spectators and TV. Daniela was approached via the ITTF earlier this year by Maxim, an international magazine for men where she featured in a brief interview. She is also involved in the Romstal Calendar shoot, the national sponsor of the Romanian team produce a calendar once a year to help raise funds for the athletes. Above is this year's calendar whilst Daniela features in a more classy look in the previous calendar. So as we conclude another chapter in the mini series of Ping Pong Runway, it is becoming clear that there is a strong belief that the image of women's table tennis is crucial for the sport's growth and that skirts are the way to go! Thank you so much to Daniela and Andreea for helping coordinate with me to do this it was my pleasure.